We are Your DOT One Stop Shop! Our office in Fayetteville, AR offers great pricing and great service for your next CDL Physical Exam at our convenient clinic located near I-49 with easy access in Fayetteville, AR. Worried About Passing Your DOT Physical Exam? Lots of drivers have medical conditions that can affect your driving status. Dr. Eggleston knows how important it is that you continue your livelihood as a commercial driver. We take the extra steps to keep you road. With his extensive knowledge of the DOT Physical Exam medical guidelines, Dr. Eggleston will steer you through the DOT Physical Exam requirements so you can Keep on Truckin’. Not sure if your medical condition will affect your driving status? Just give us a call before your appointment. We are here to answer your questions. Whether you are just traveling thru Fayetteville, AR or one of our local drivers, we are here for you! If you’re looking for a CDL physical exam or drug testing in Fayetteville, Arkansas? You’ve come to the right place! Located near the intersection of College Avenue and Rolling Hills in Fayetteville, AR. Dr. Michael Eggleston is a National Registry Certified Medical Examiner (#6473658858) and has performed hundreds of DOT Medical Examinations and has been in practice since 1996. He graduated from the United States Military Academy at West Point, New York where he earned a Bachelor of Science in Engineering Management and is a veteran of the United States Army. He graduated with a Bachelor of Science in Anatomy and a Doctorate of Chiropractic from Parker College of Chiropractic in Dallas, Texas. 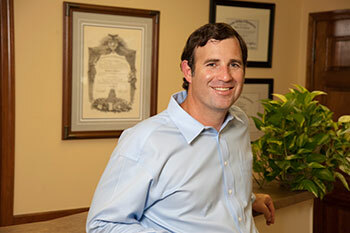 Dr. Eggleston has held memberships in the American Chiropractic Association, Arkansas Chiropractic Association, Society of Automotive Engineers and the Association of Advancement of Automotive Medicine. Dr. Eggleston offers employment services including DOT physical exams, drug testing and breath alcohol testing.